6th December 2013. Updated version of EOTopo 200K just released & now avail on Memory-Map; Enter our new Members' Photo Comp; Join in our Facebook Fan Photos; See New Business Members; Get the Latest Travel Alerts; & see What's New in the ExplorOz Shop. Due to a significant update of roads data we have just released a new version of EOTopo 200K. For detailed information about these exciting changes refer to the Updates tab on the EOTopo Page. Customers who have purchased the 2013.3 edition are covered by our Lifetime upgrade program, and have been sent an email directly with pertinent information. EOTopo 200K is also now available for Memory-Map (supports Windows/iOS/Android). Take the 3-day free trial by downloading the starter-pack from our Shop. This means EOTopo 200K is the most widely compatible and most up-to-date Australia-wide topographic map set on the market. The ExplorOz Photo Comp is back and this time there’s a twist to coincide with the 2014 National Gathering. The theme is “Aussie Landscapes” and the winning photo will be replicated via an artist who will paint the image onto a 900mm circular saw blade. The image here shows you one of the artist's similar work to give you some idea. This rare, unique and collectible item will be auctioned at the National Gathering that is booked to take place in outback NSW in September 2014. Entry is only open to ExplorOz Members. 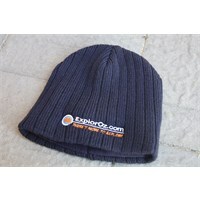 The winning photographer will receive an ExplorOz Merchandise Pack plus $150 voucher to spend in the ExplorOz Shop. To enter, you need to create a Blog on ExplorOz and upload all the photos you wish to submit for selection. Only blogs tagged to the Photo Comp will be considered as valid entries. If you're not yet a Member, we encourage you to join today and join in all the fun of this major event run by the ExplorOz Members. Entries are now open. Competition closes midnight Friday 7th March, 2014. For more competition information see ExplorOz Photo Competition 2014. Do you have a great photo related to Exploring Oz that you'd like to share? If it doesn't fit into the theme of the Photo Comp above, there is a new weekly feature on the ExplorOz Facebook Page just for you. This is called "Friday Fan Photos" and is open to anyone that has "liked" our page. Simply post your best photos (beautiful landscapes, beaches, deserts, 4WD action, campfire images, nature, etc) on our Facebook Page, and we'll select one each week, that we'll highlight each Friday. Please only post photographs of your own (no plagiarism or copyright infringements please). Want to learn more about taking photos on the road? See our Travel Photography article for all the information you need to improve your skills. The latest DVD release from Lifestyle Video Productions is in stock now. The High Country of Victoria offers amazing scenery, river crossings, mountain huts, historic goldfields, and above all, some of the best four-wheel drive adventures in Australia. A group of friends experienced all this and more in January 2013. Their trip included Craig’s Hut and Mt Stirling, Wonnangatta Valley, Talbotville, Grant and the Crooked River Goldfields, as well as Guy’s Hut, Howitt Hut and Mt Wellington. There were also Dimmocks Lookout, the Pinnacles, Billy Goat Bluff and the ridgeline splendour of Blue Rag Range. Available for only $19.99 ($18.99 for Members) from the ExplorOz Online Shop. Road reconstruction: 16 km of the Landsborough Highway between Augathella and Tambo are now complete, with traffic now returned to the main highway alignment. Reconstruction on three sections of the Landsborough Highway, north of Tambo are still progressing. The extended seasonal road closures applying to the Alpine National Park, Great Otway National Park and Yarra Ranges National Parks have now ended; the parks are now open. Seasonal Closure: The Simpson Desert Conservation Park and Regional Reserve will be closed from 30th November 2013 until 15th March 2014.